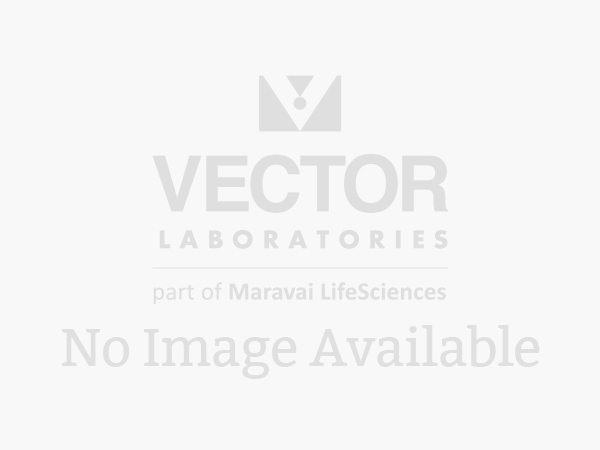 Horseradish peroxidase (HRP) substrates produce sharp, dense precipitates with crisp localization. 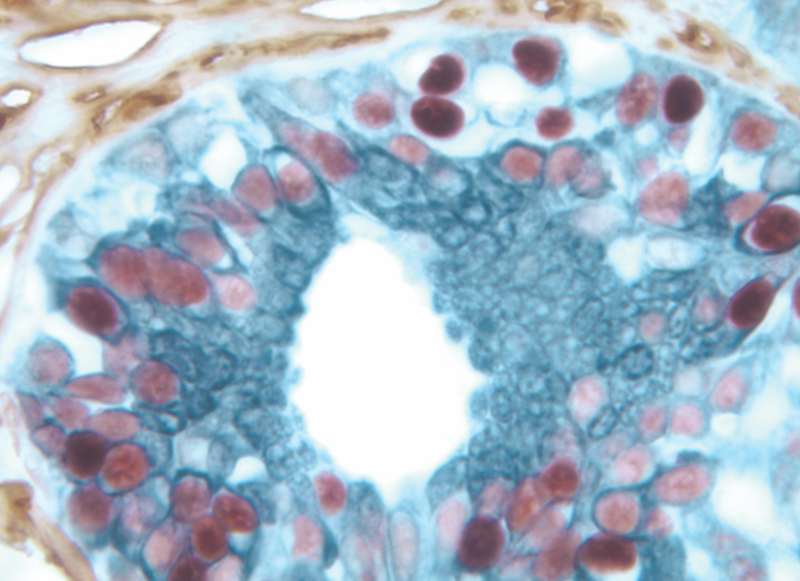 In conjunction with the high sensitivity and low background of VECTASTAIN ABC systems, HRP-based detection systems are a preferred choice for many applications, including immunohistochemistry (IHC), immunocytochemistry (ICC), protein and nucleic acid blot, in situ hybridization (ISH), and enzyme immunoassay (ELISA) detection. 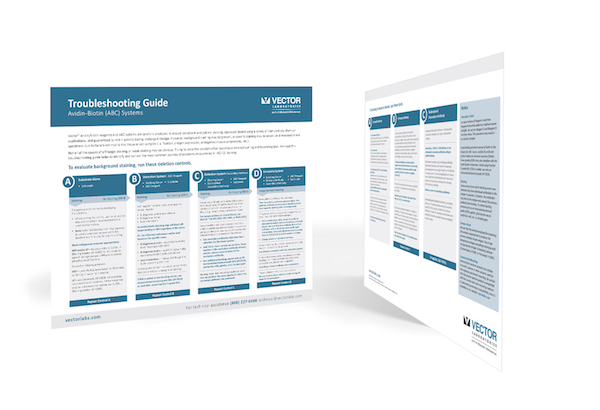 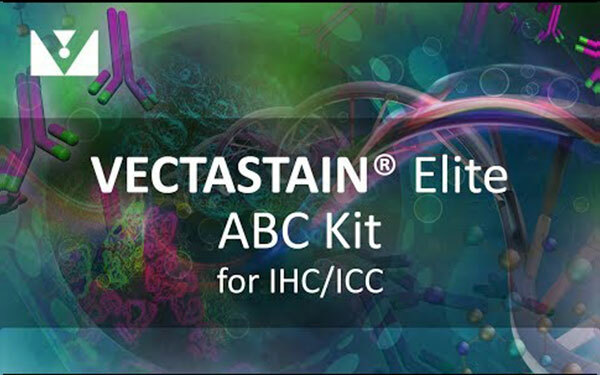 To detect an unlabeled primary antibody or lectin, use a biotinylated secondary antibody (binds the primary antibody species or lectin you have chosen), VECTASTAIN ABC reagent, and appropriate substrate (for example, to detect a rabbit primary antibody, choose the VECTASTAIN ABC Kit, Rabbit IgG). 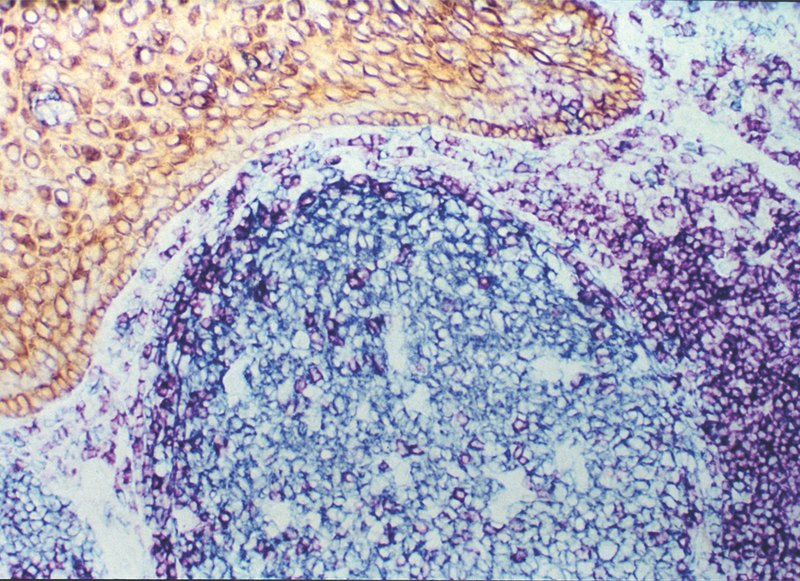 Tonsil: • Multi-Cytokeratin (m), VECTASTAIN® Elite® ABC Kit, Vector® DAB (brown) • CD3 (m), VECTASTAIN® Elite® ABC Kit, Vector® VIP (purple) • CD20 (m), VECTASTAIN® Elite® ABC Kit, Vector® SG (blue-gray).